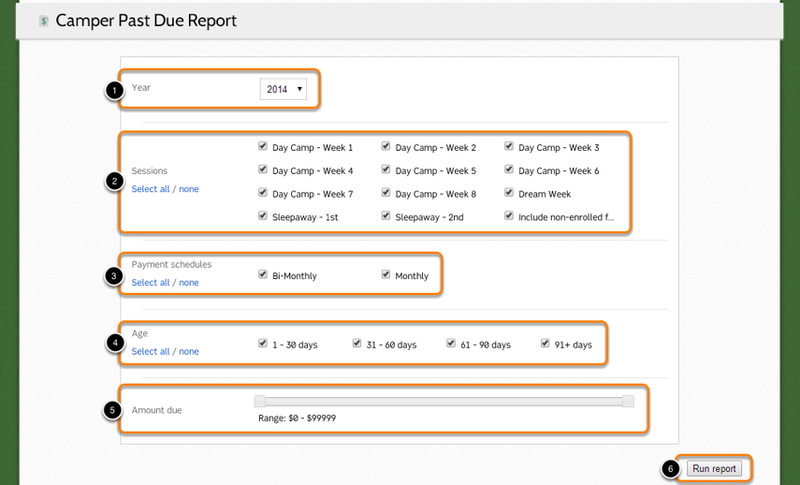 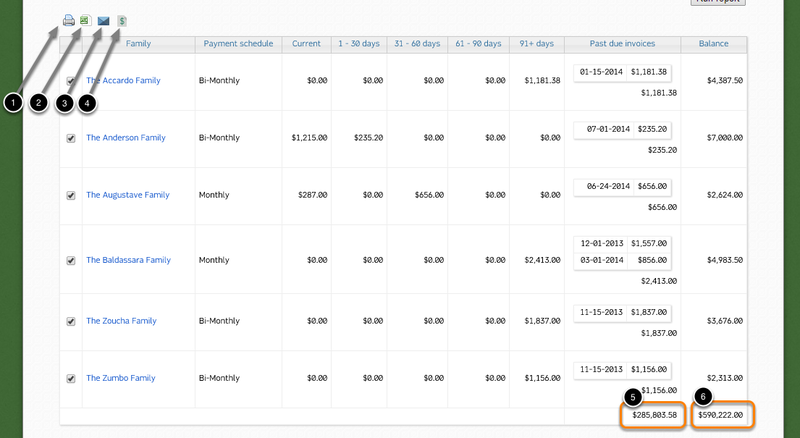 The Camper Past Due Report displays families with past due amounts on generated invoices. 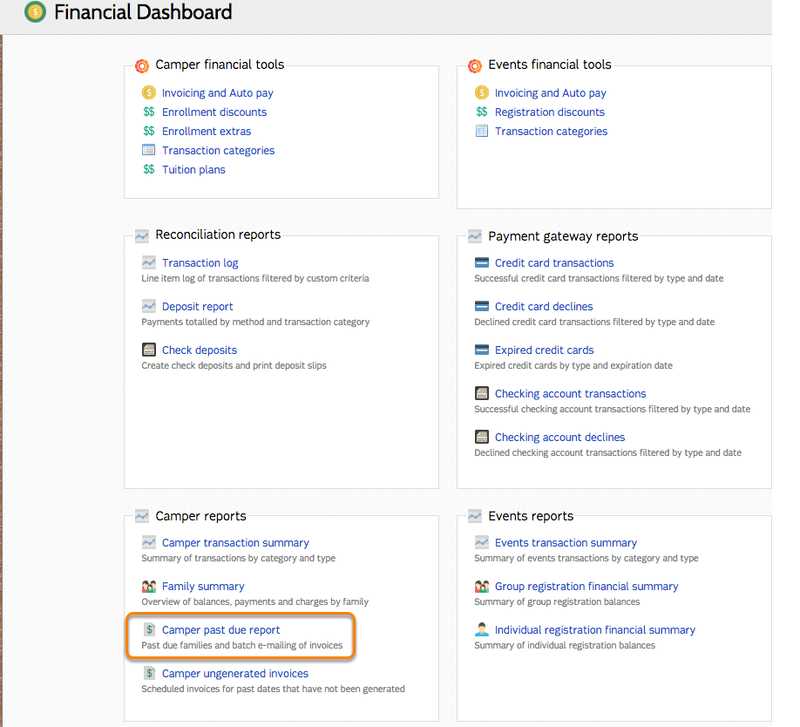 The Camper Past Due Report can be found in the Camper Reports section of the Financial Dashboard. Families with past due invoices will display on the report.